The digital marketing agency is set to handle the account for Kangaroo Kids Education, Astral Adhesives, and International Travel House. Mumbai based digital marketing agency BC Web Wise has won three accounts in the last quarter namely, Kangaroo Kids Education, Astral Adhesives, and International Travel House. The management of the digital mandate for these accounts will be handled at the agency's Mumbai Headquarters. Chaaya Bharadwaj, founder and managing director, BC Web Wise, says in a press note, "Our team is really excited to work on three extremely unique and successful businesses! Our focus is on ensuring that everything we do for them is going to add to their business equity, and make digital a successful and key business channel for their businesses." Kangaroo Kids Education (KKE) is an Indian chain of international schools. 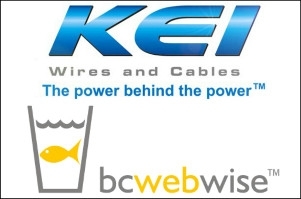 Rushabh Shah, marketing head, KKE, says, "BC Web Wise understands our ways of teaching and therefore also the way we want to approach the world of education. That is exactly why they are on board and we are expecting astounding work from the team. Welcome aboard!" Yogen Parikh, Manager - Branding, Astral Group, says, "I believe BC Web Wise will do a great job on the account and open untapped avenues for the brand with its extensive expertise." Astral Adhesives manufactures plumbing, drainage, fire sprinkler and other piping systems for residential, commercial, industrial as well as agricultural applications. International Travel House is an Indian travel management company. Speaking on the new association, Ajay Kumar, chief executive officer, International Travel House, states, "BC Web Wise won, hands down, in the selection process for an agency partner because of their expertise in digital marketing and a strong understanding of our business."